Flat design, Soothing colors and Simplicity together make the Moderne Theme a Trendy Tumblelog Theme for your Site. Moderne Theme is a Trendy and Tumblelog style Premium WordPress theme built to be social, mobile responsive and HTML5-compliant. 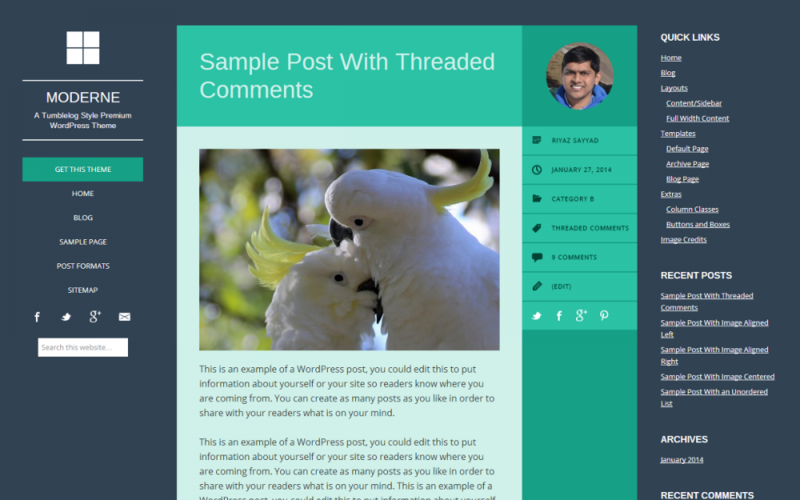 Moderne theme supports nine different post formats, letting you share your status updates, photos, videos, music and more right on your WordPress blog.